Shuttle Endeavour has launched on the second launch to start STS-130, following a 24 hour scrub due to unacceptable cloud cover on Sunday morning. The youngest orbiter in the fleet behaved well on the pad with no issues ahead of her 4:14 Eastern liftoff. 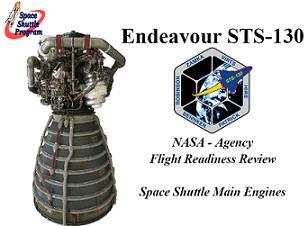 Meanwhile, another key element of the Flight Readiness Review (FRR) covered improvements made to the orbiter’s Space Shuttle Main Engines (SSMEs). Endeavour’s IPR (Interim Problem Report) count only reached 62 – which covers her entire flow in the Orbiter Processing Facility (OPF) through to the pad flow – by the time the scrub was called by Launch Director Mike Leinbach. Most of the IPRs were minor, and sometimes related to the Ground Support Equipment (GSE) on the pad. The only issue reported during the final leg of S0007 Launch Countdown operations related to a high pressure reading from the crew cabin. While the pressure reading of 125 psi was much higher than required – and likely a false reading – the issue was found to be associated with a regulator. Engineers were given permission to enter the pad and work on resolving the issue with the regulator, which was successful. However, tanking was delayed 30 minutes while the engineers cleared the launch pad, as is required ahead of ET loading. A minor IPR was recorded against a Solid Rocket Booster (SRB), but was soon cleared from a technical standpoint, although both the Cabin Pressure and Booster IPRs remained in the Launch Control Center’s Firing Room log due to a small computer issue. This would not have prevented launch. No problems were recorded since the count picked up for the second attempt, with the weather at both the Kennedy Space Center (KSC) and the overseas TAL (Transatlantic Abort Sites) once again becoming the main focus of evaluations. However, all sites and the range improved, allowing a go for launch. Earlier, a go for tanking given by the Mission Management Team (MMT), and completed three hours later. The crew ingressed the orbiter and completed communication checks, before the crew cabin was closed out. An issue-free countdown followed, with Endeavour and her crew now into Flight Day 1. Endeavour will be flying with Main Engines 2059 and 2057 – which have flown three and four times respectively – and also ME 2061 – which is debuting on its first flight. This flight history gained via previously flown engines is priceless for engineers, who also used the performance of previous flight’s engines as part of their FRR-level review. The nozzle leaks – though not a flight safety issue – have been the recent focus of engineering reviews, following small leaks on both Endeavour’s and Discovery’s engine nozzles during their previous two launches. Endeavour’s engines will be the first to fly without the use of an inhibitor that has been applied by a sponge – which is understood to be the root cause of the leak issue. “Cause Identified: STS-127, STS-128 & STS-129 Nozzles contaminated with chlorides during corrosion inhibitor application (Sponges). Chlorides accelerated corrosion in braze shrinkage cracks leading to damage to tube and leakage. “Corrective action implemented: Nozzles cleaned to remove contamination. 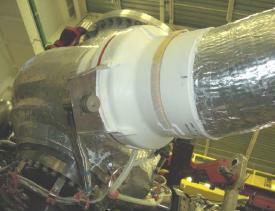 Extended application of corrosion inhibitor on all affected nozzles (Nozzle 2033 on STS-130). Corrosion inhibitor applied to reduce further corrosion and additional leaks. Despite the lack of performance from microscopic leaks, and more importantly no concern for flight safety, rationale for both the engines and the changes to procedures used to mitigate the nozzle leaks was presented to the final “Level I” FRR at the Kennedy Space Center (KSC). “Flight Rationale: STS-130 units meet flight leakage criteria and are in-family. Current corrosion inhibitor application on all nozzles performed with tested materials. Leakage rate on corrosion nozzles is low with large margins to engine performance effects. Leakage rate well within limits safely demonstrated in ground test,” noted flight rationale. 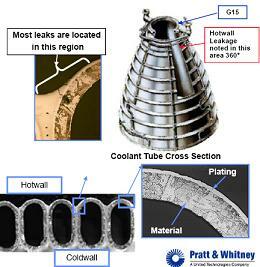 “Reason for Change: Joint F2 (LPFTP-to-LPFTP Discharge Duct) Liquid Air Insulation Boot, did not adequately prevent formation of LN2 above Engine Controller. “Resolution: Redesigned boot with helium purge prevents GN2 from contacting cryogenic surfaces within boot and liquefying. Uses 10 percent of Helium Barrier Bag flow. Certification Status – Complete. The second first flight item relates to the “HPFTP Roller Bearing Roller Element Manufactor Process Change”. “Reason for Change: Bearing roller element material vendor changed facilities and some manufacturing processes. Toshiba raw material facility relocated in 2000. Equipment, process, and personnel moved within same city. Toshiba roller blank sintering process changed in 2000 to increase production yield,” noted the presentation. “Furnace holding times, temperatures and atmospheres changed based on Taguchi design of experiments. Despite the recent positive evaluations by the Program Requirements Control Board (PRCB) for using existing SSME engine sets – and also the one to two year timeline to supply new engines – for use in a “future launch vehicle”, the FY2011 budget proposal all-but ends this historically reliable engine’s life when the last shuttle flies later this year.